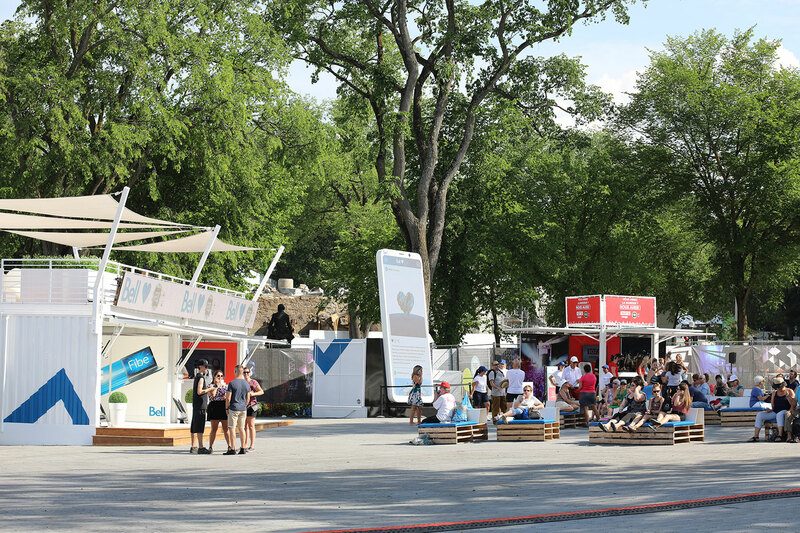 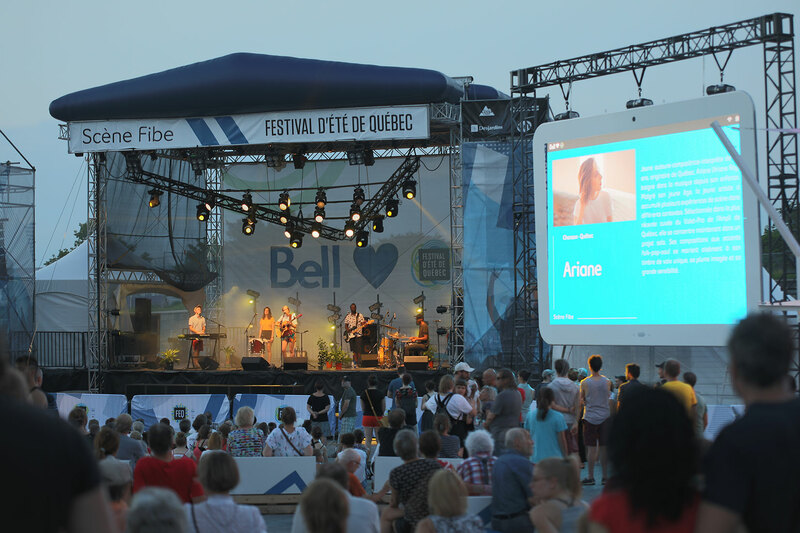 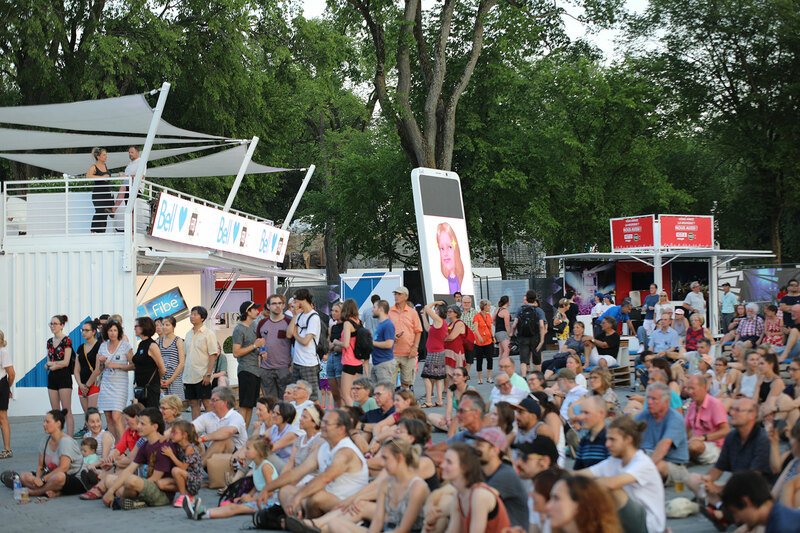 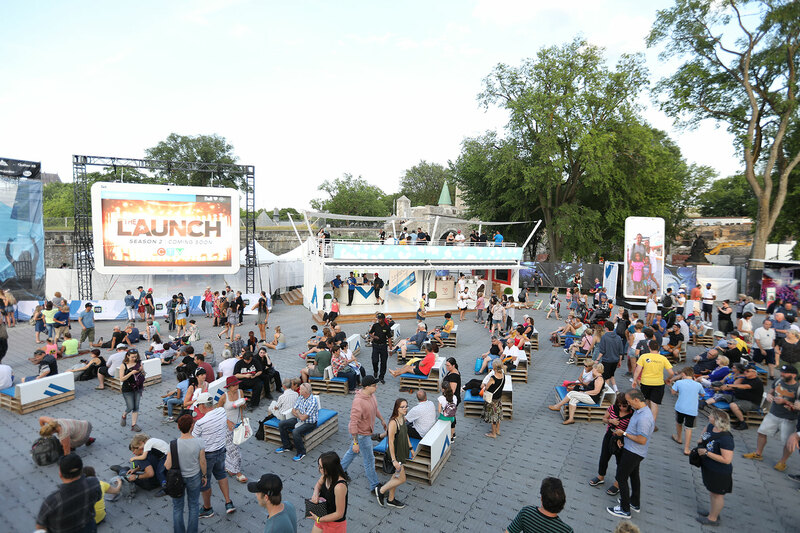 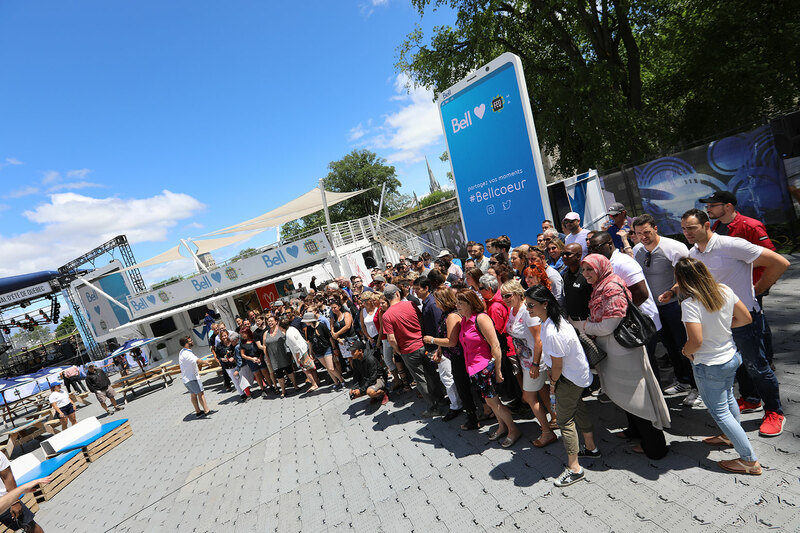 As a major Festival sponsor, Bell’s goal was to attract attention like never before. 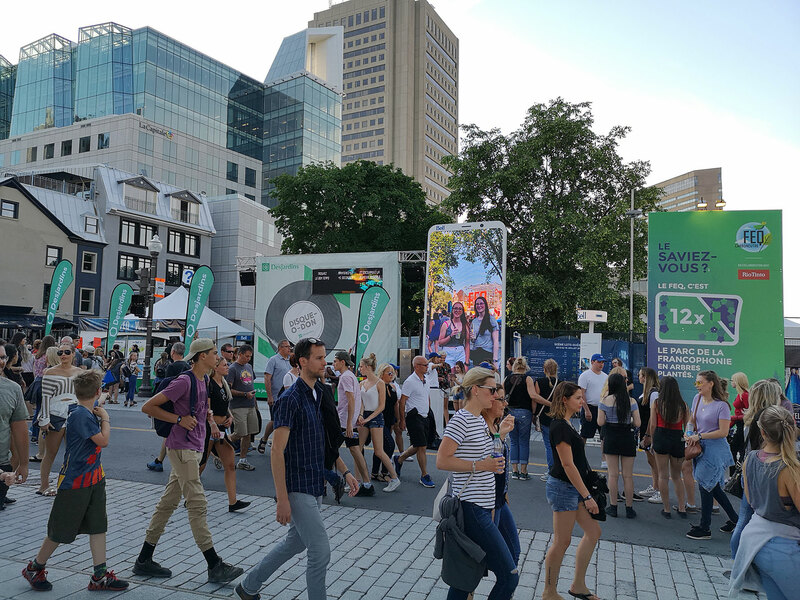 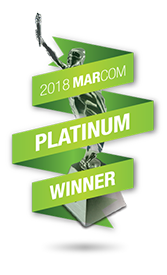 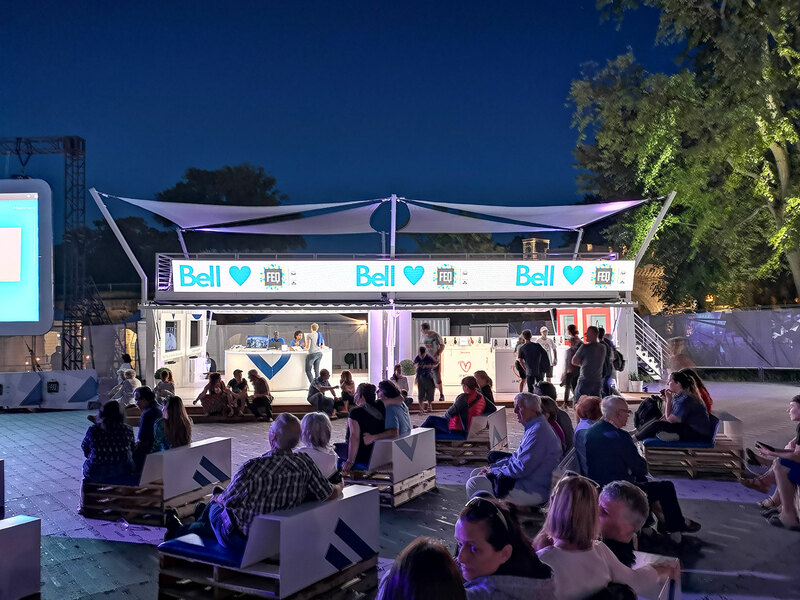 Loki stepped up with a giant cell phone design that brought in the crowds, created buzz and gave visibility to Bell’s choice Festival location on the grounds and across town on social media. 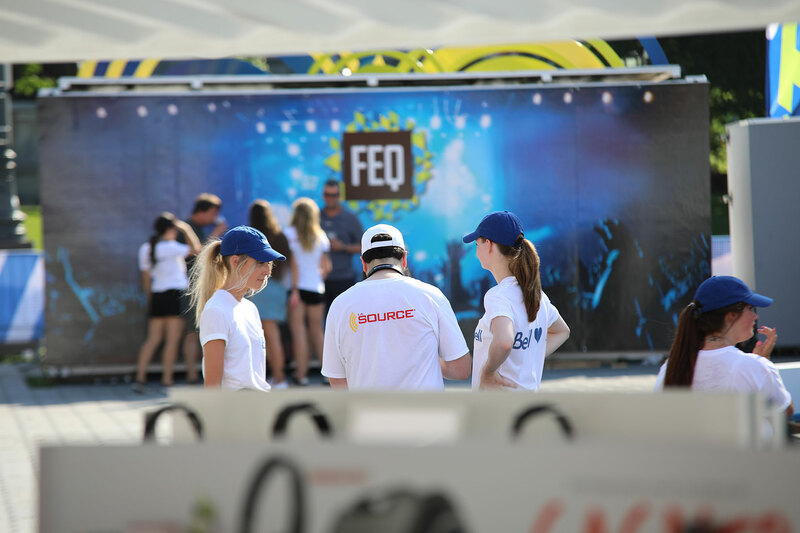 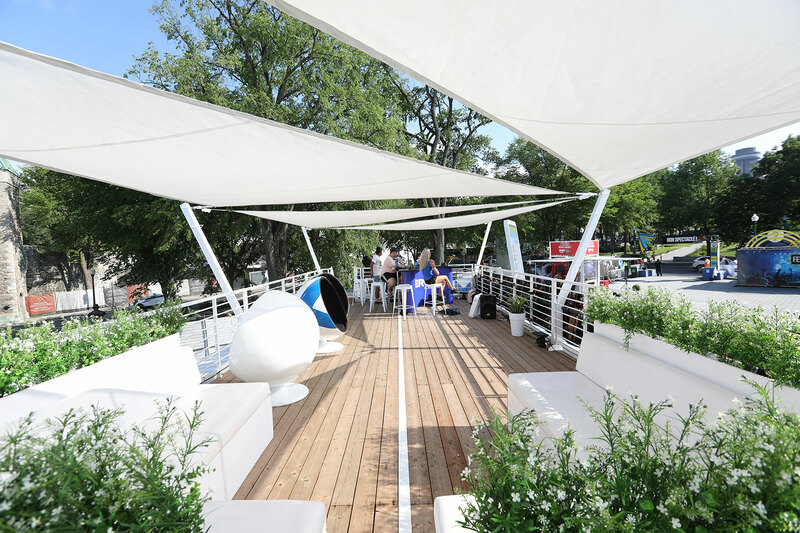 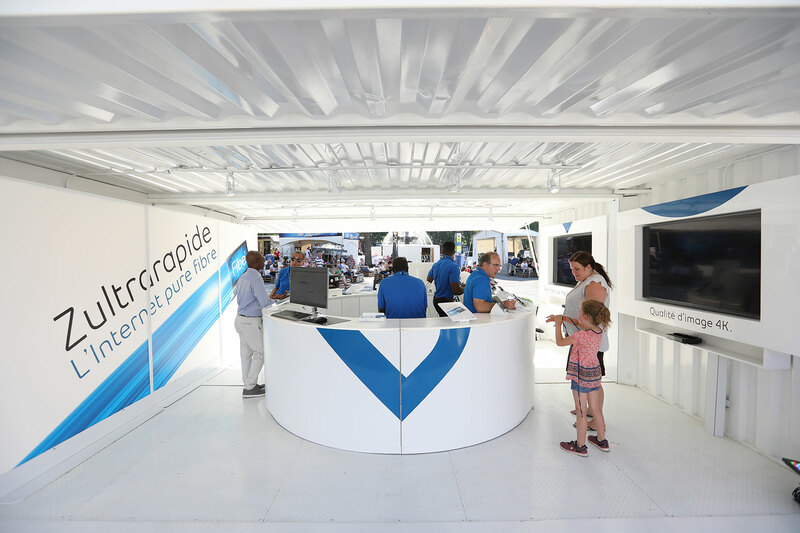 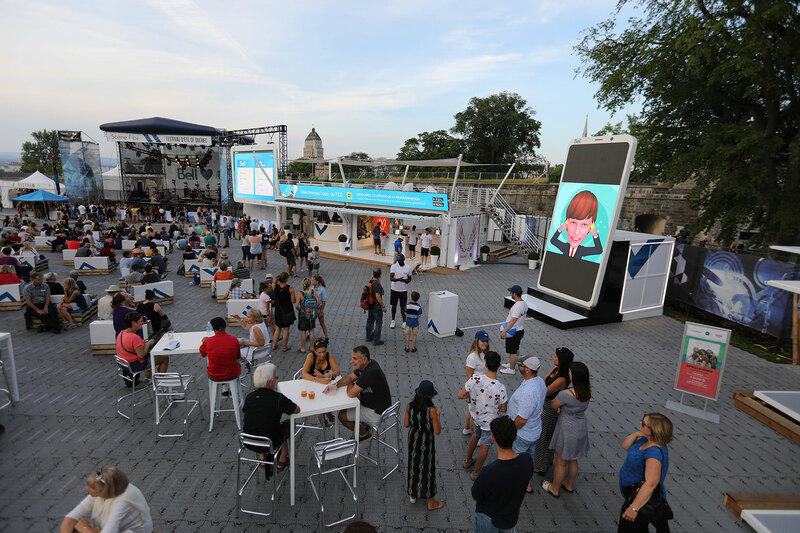 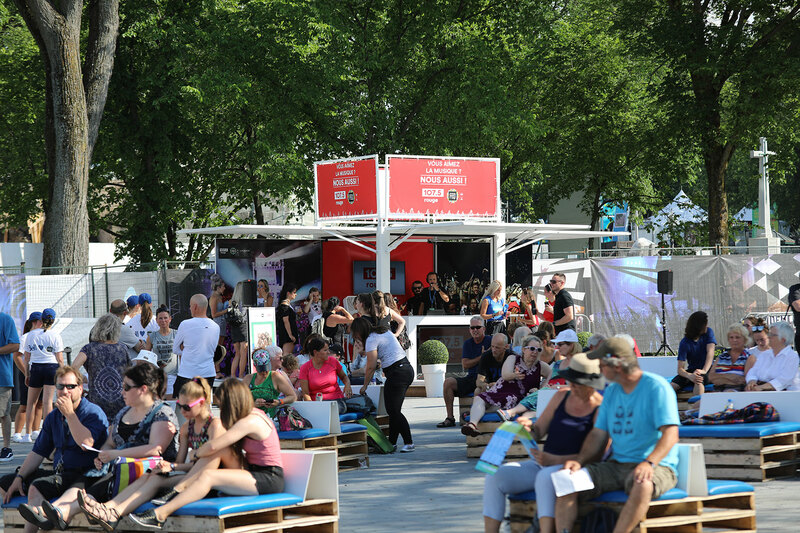 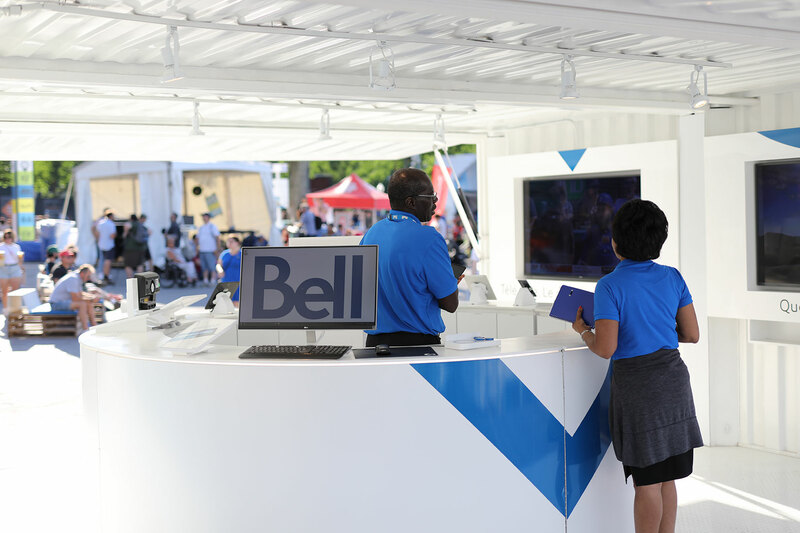 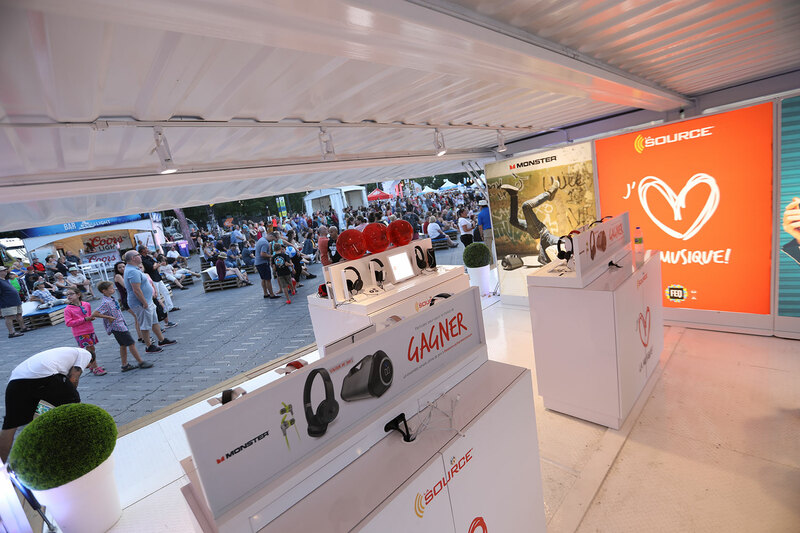 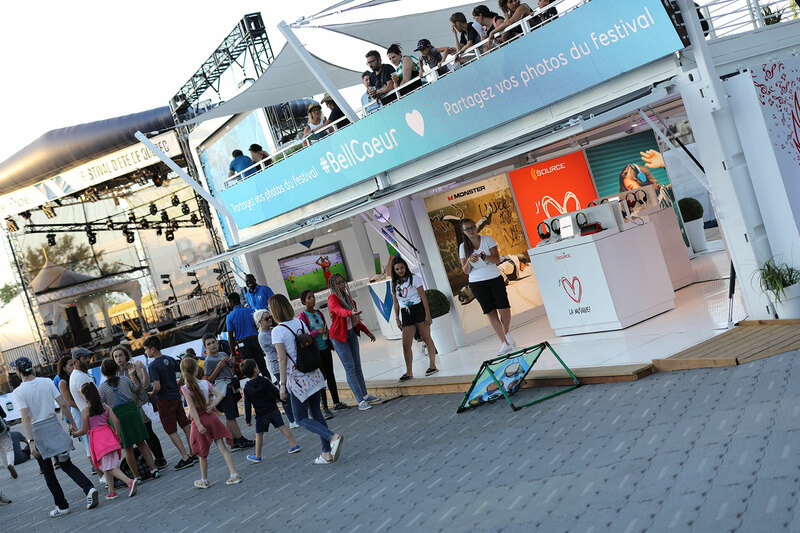 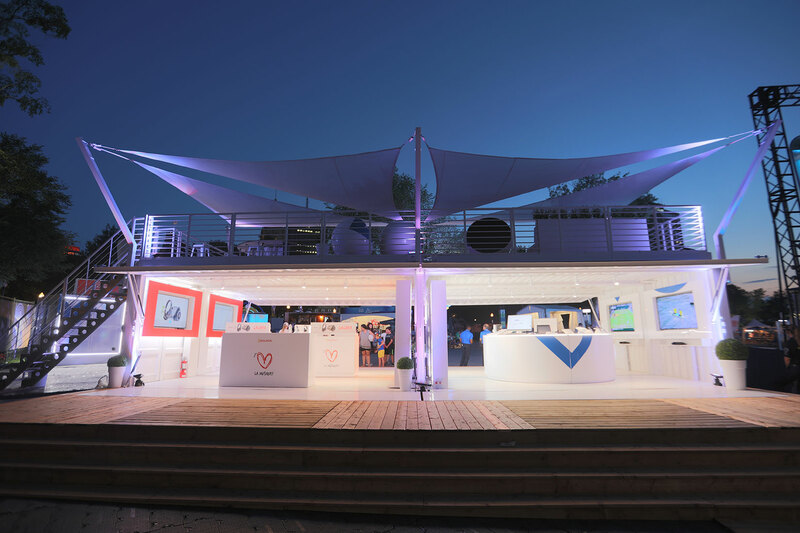 Bell’s main Festival site was anchored by a sophisticated BNC240 pop-up unit in contemporary white finish showcasing the telecommunications provider’s innovative pop-up store. 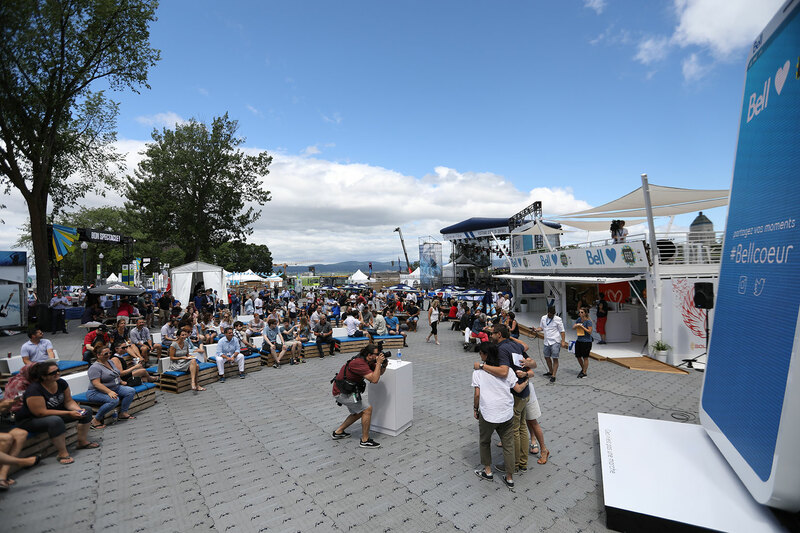 With its second-floor terrace the booth provided a great view of the festival and an ideal private location for media and VIP use. 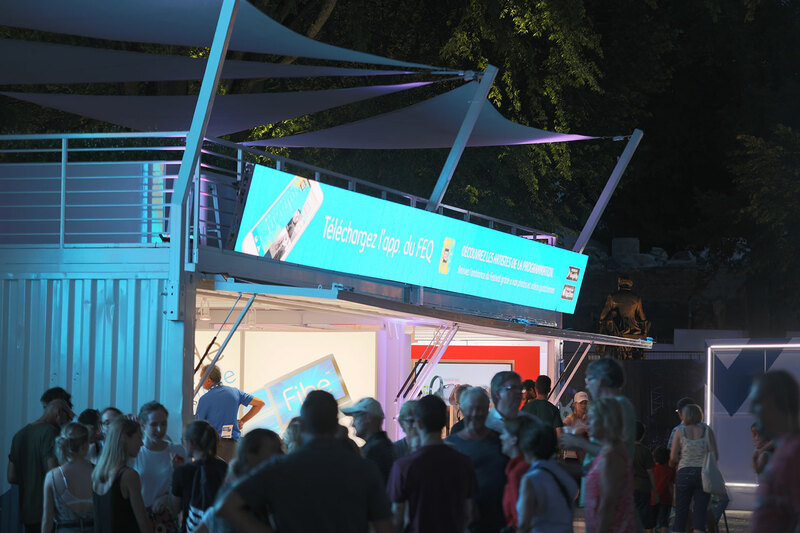 The real showstopper? 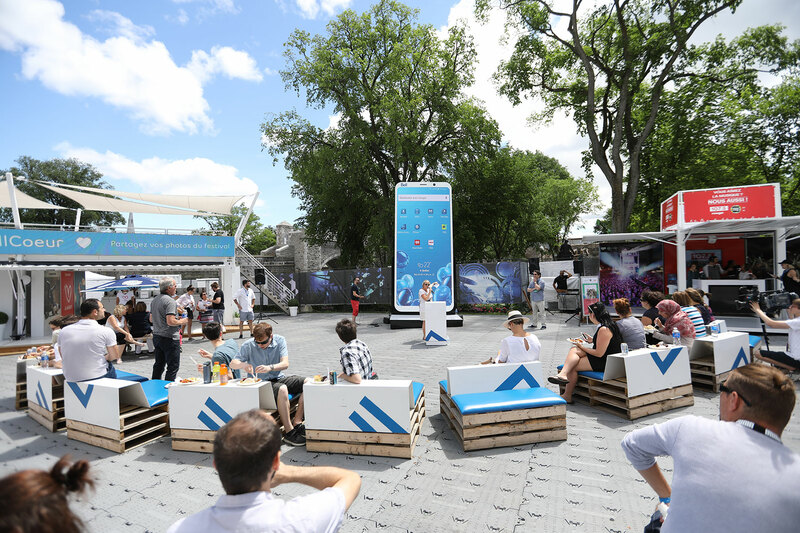 The unit was flanked by one of three giant cell phones which were interactively linked and equipped with integrated camera systems. 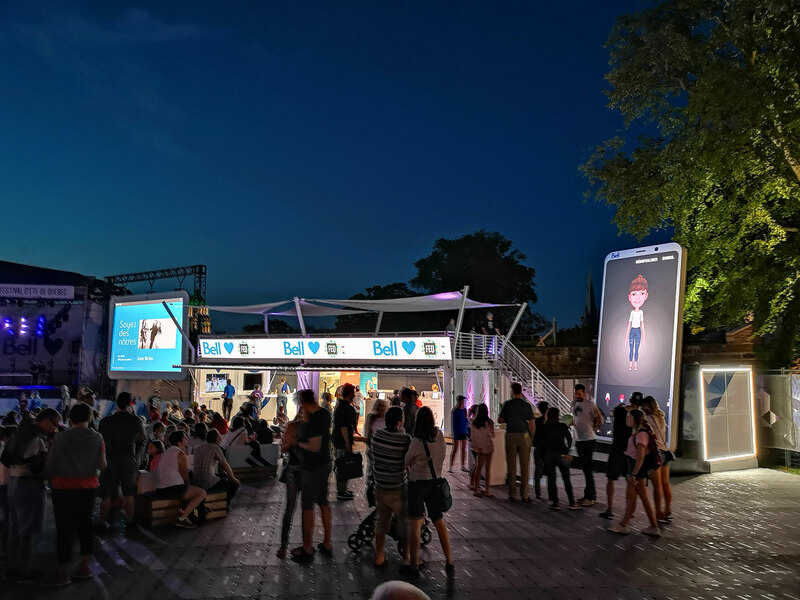 Installed at key locations around the Festival site, the phones let passersby take photos and post bitmojies which could be seen from a distance on the huge screens, on the other phones on site, as well as by their social media connections, bringing Festival crowds to the Bell site and linking the various Festival locations together. 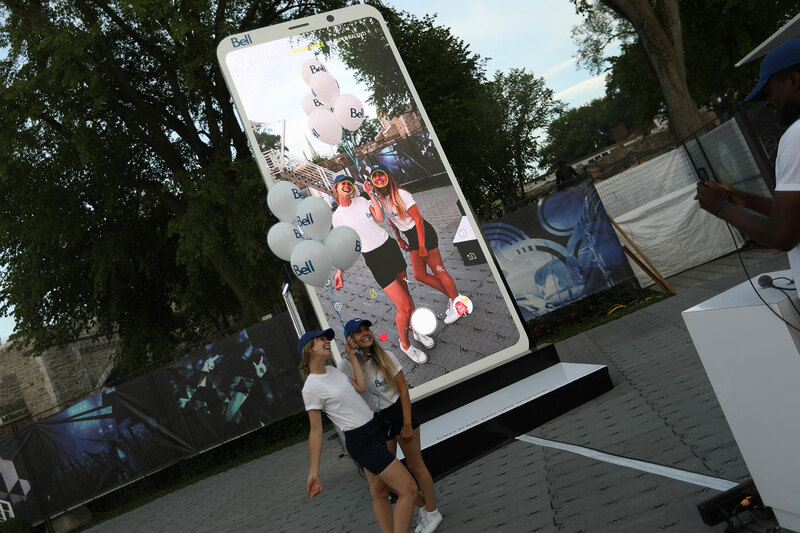 The phones measure a whopping 7 feet by 16 feet and are a perfect replica of a smart phone. 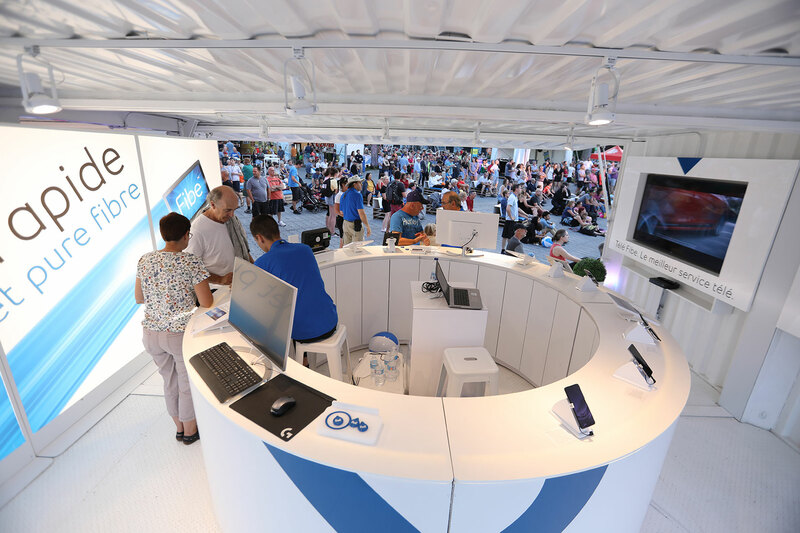 The back cube served as the technical centre for the phone with an array of computers and controllers and even air conditioning! 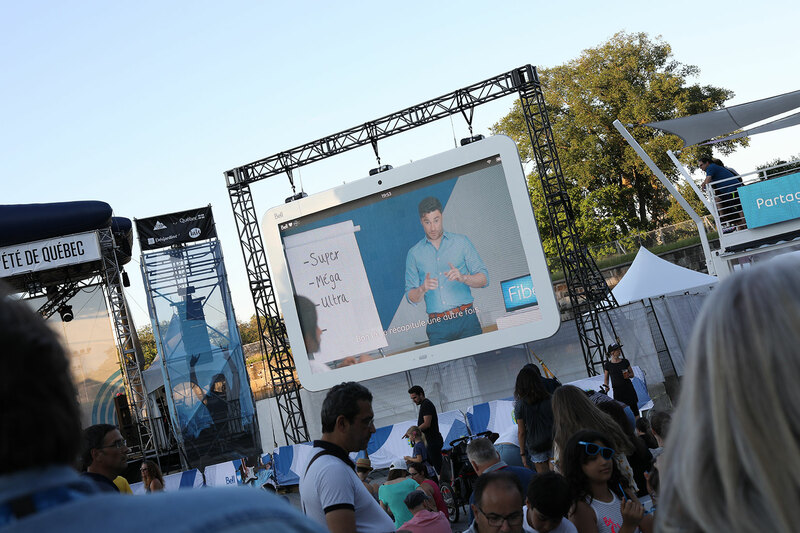 Set up of the three components was quick and easy. 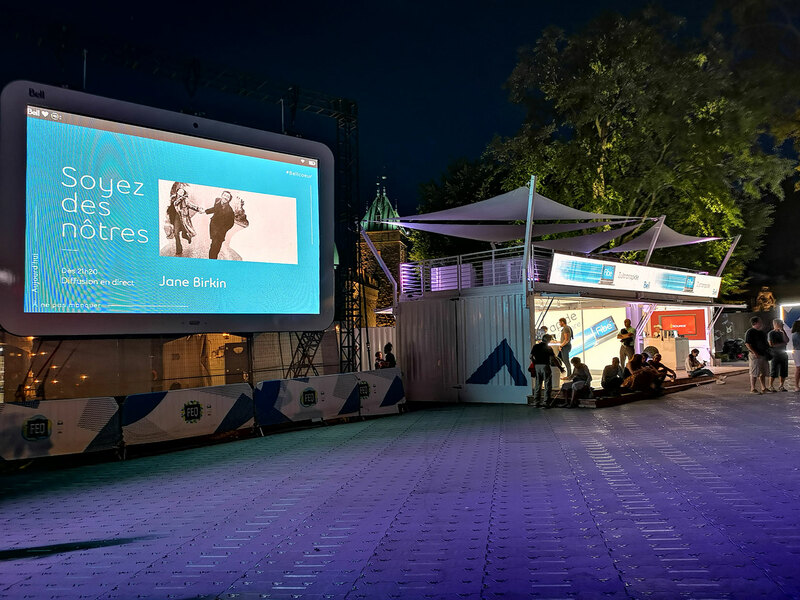 The phones were weatherproof and equipped with ultra high definition 3.9 mm technology HD screens with ample luminosity for the Festival environment, providing a highly visible interactive experience day or night.